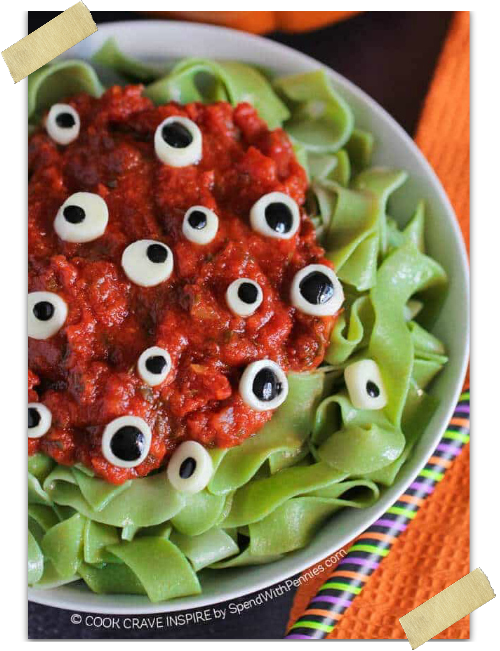 Don’t get spooked! 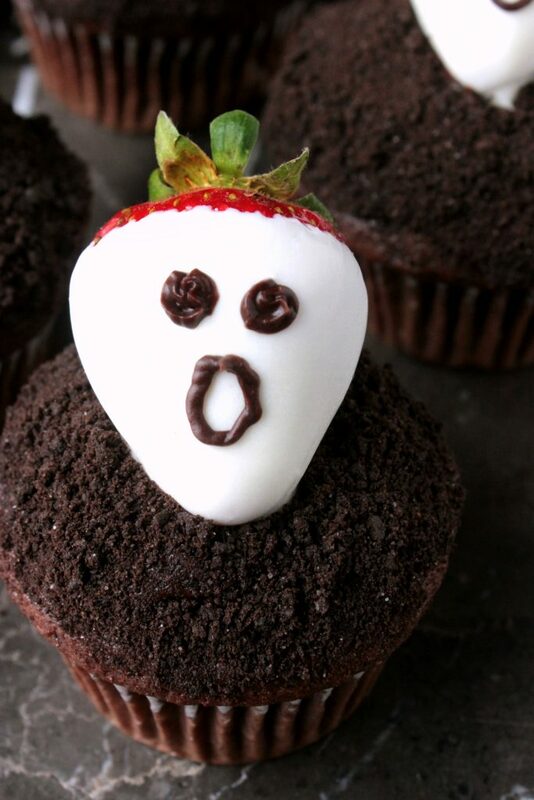 These Strawberry Ghost Dark Chocolate Cupcakes are nothing to be scared about! 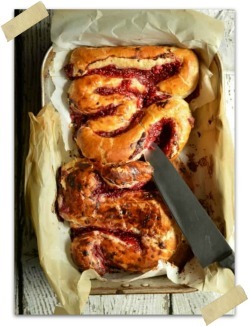 They’re a sweet and easy dessert that’s perfect for Halloween! 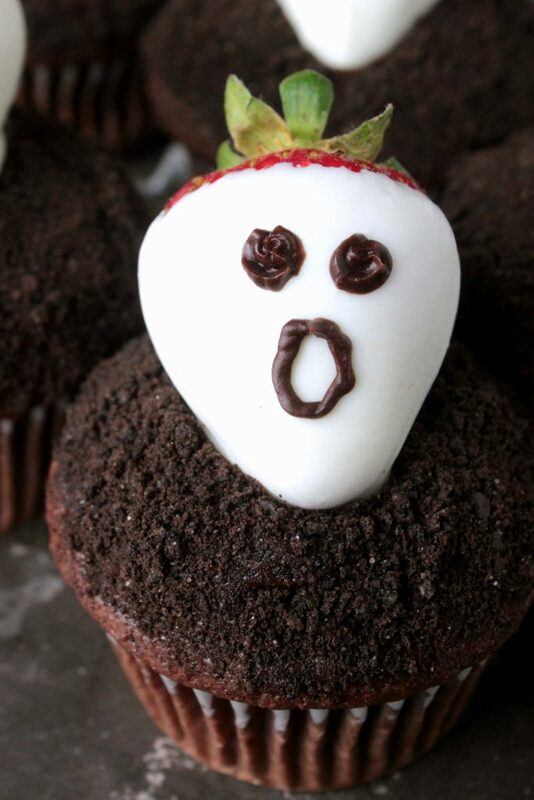 Chocolate and Strawberries go together perfectly, just like Spooky Cupcakes and Halloween! 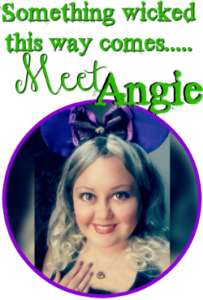 Oh my goodness and I just love chocolate covered strawberries, so I’m super excited to share these Strawberry Ghost Dark Chocolate Cupcakes with y’all! 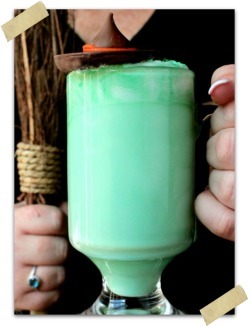 Easy Halloween desserts are just perfect for busy moms! 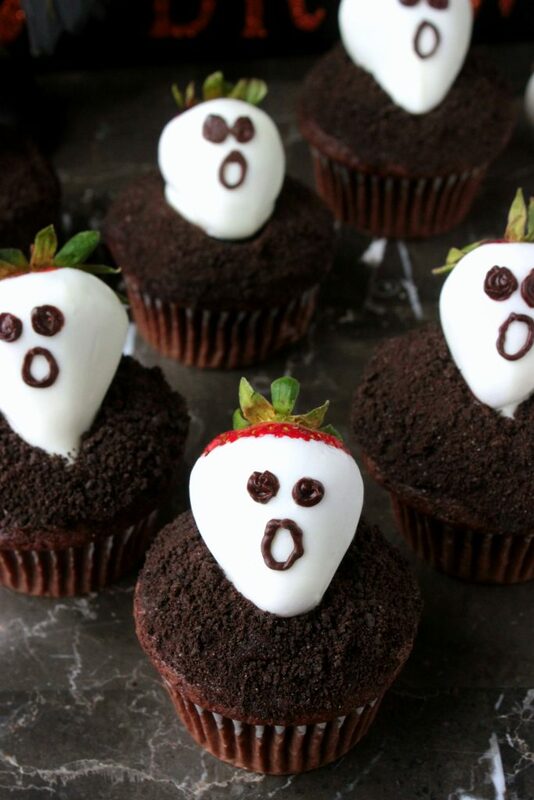 Actually, these Strawberry Ghost Dark Chocolate Cupcakes are perfect for everyone, not just busy moms! haha. 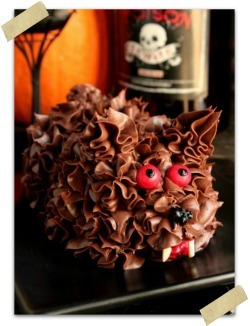 If you’re looking for a super simple and tasty Halloween cupcake, this is the Halloween cupcake for you!! 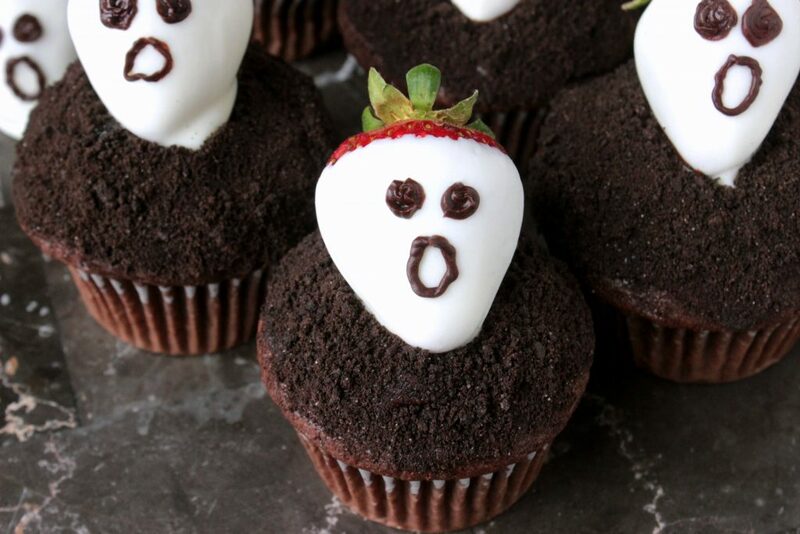 I know that I’ve just got ghost cupcakes pictured here but how awesome would it be to have a dozen of these Strawberry Ghost Dark Chocolate Cupcakes on a part platter with a few graveyard tombstone cupcakes or pumpkin patch cupcakes!?! 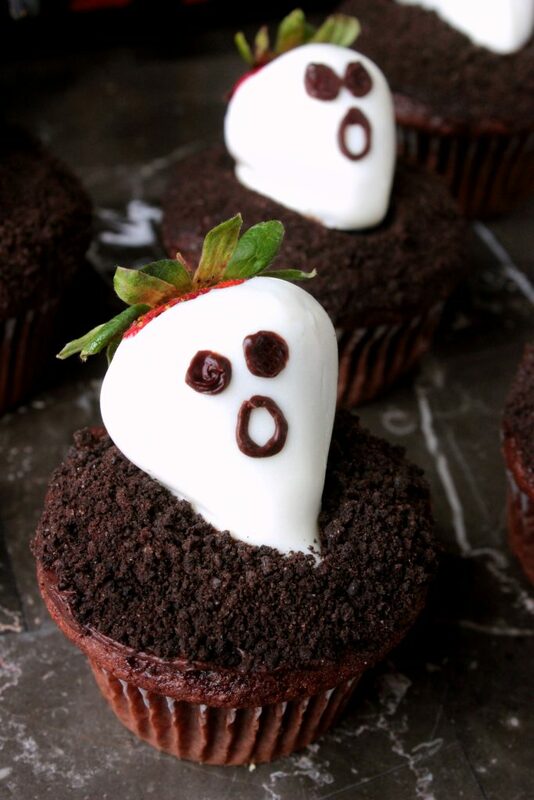 The “graveyard dirt” for these little ghost cupcakes is simply crushed chocolate Oreo cookies. I put a little but of chocolate icing on top of the dark chocolate cupcakes, stuck the ghost strawberry on top and then sprinkled the tops of the cupcakes with the crushed cookies. Oh and those strawberry ghosts? Well they couldn’t be simpler! A little dip in some chocolate and a cute little face and you’re all done! I used chocolate icing to draw on their little ghost faces. However, you could use melted chocolate or edible markers to draw their faces on. I just figured since i already had chocolate icing made that it would be perfect for the ghost faces!